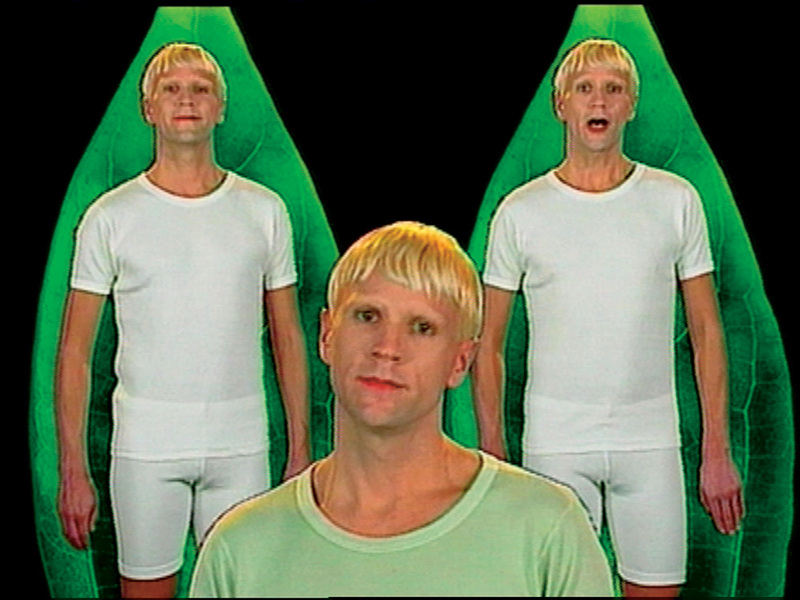 In the video installation “Again & Again” Melhus tells—not without humor—the story of a person engaged in an inner dialogue on the subject of reproduction, only to be rejected by the clone whose qualities are superior to his own. 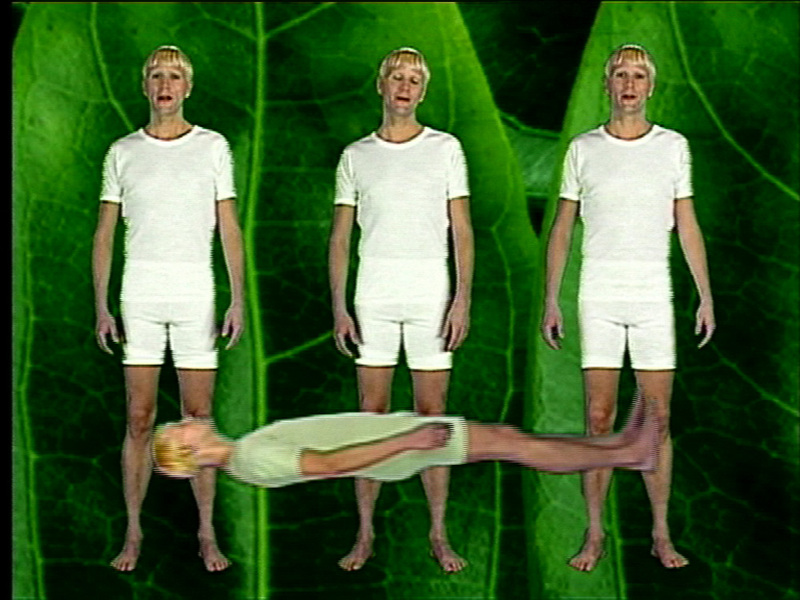 The possibility of multiplying oneself ends in a loss of subjectivity. 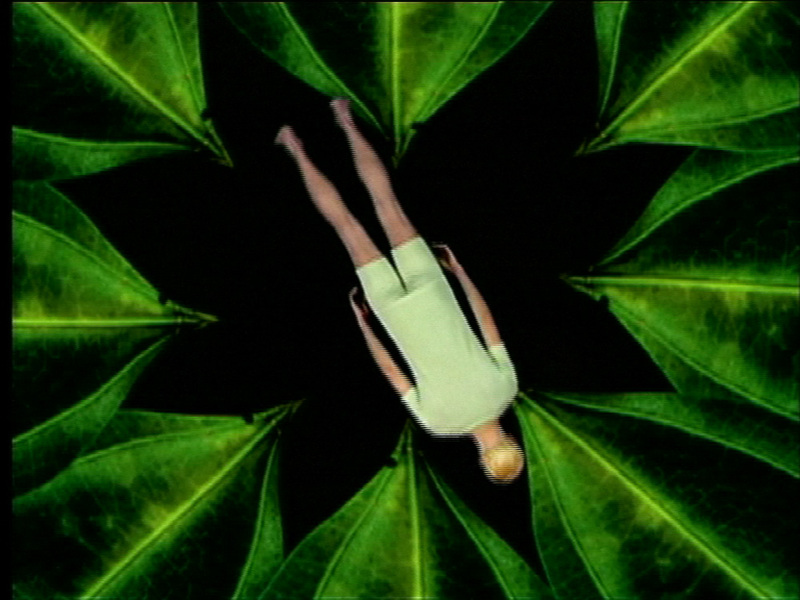 While in this case Melhus questions the identity of the self set before a genetically-altered living situation, in his preceding works he exposed the self as being the projection surface of medial images. 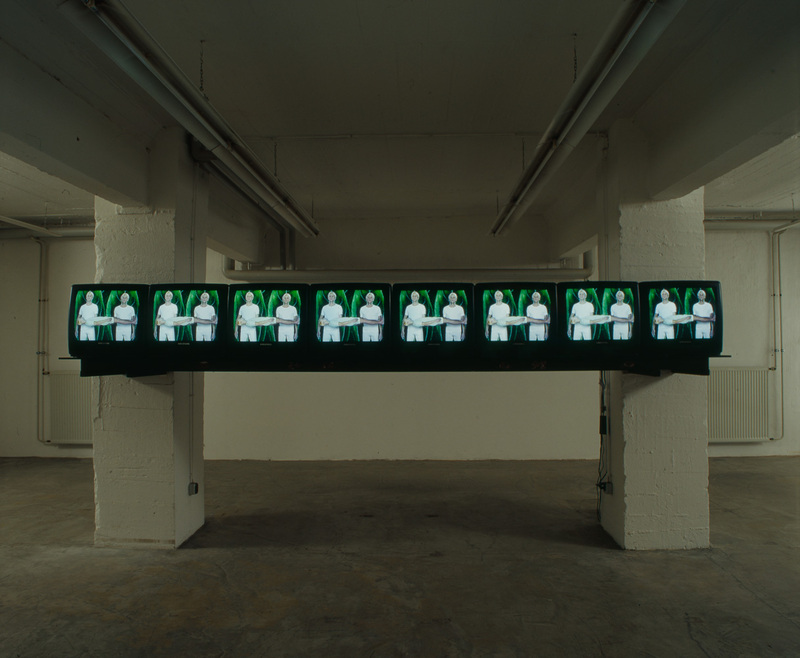 Curiously on the theme of cloning a single channel video is multiplied on 8 screens. 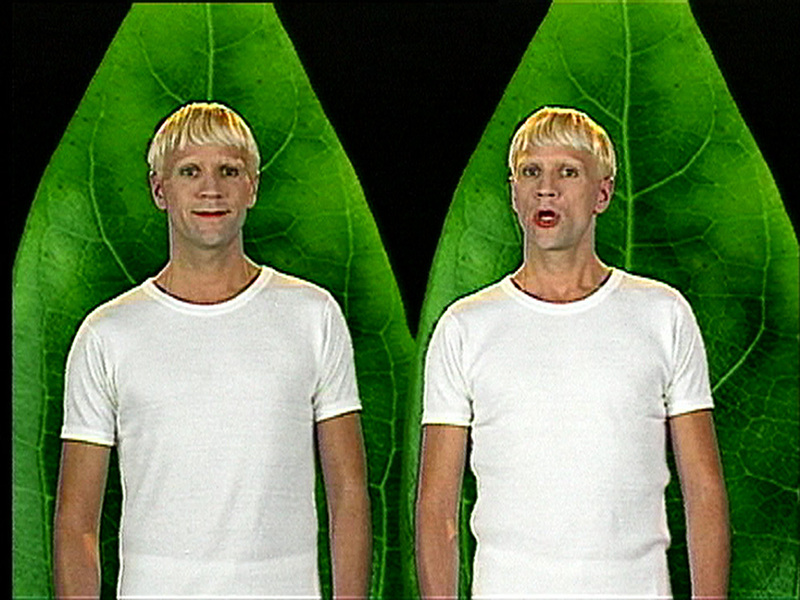 Taking on themes of human cloning and biological science, Again & Again uses repetitive symbolism and video effects to question the relationship of self design and aesthetic responsibility as well as the development of biological technologies and plastic surgery alongside a popular consumer culture. 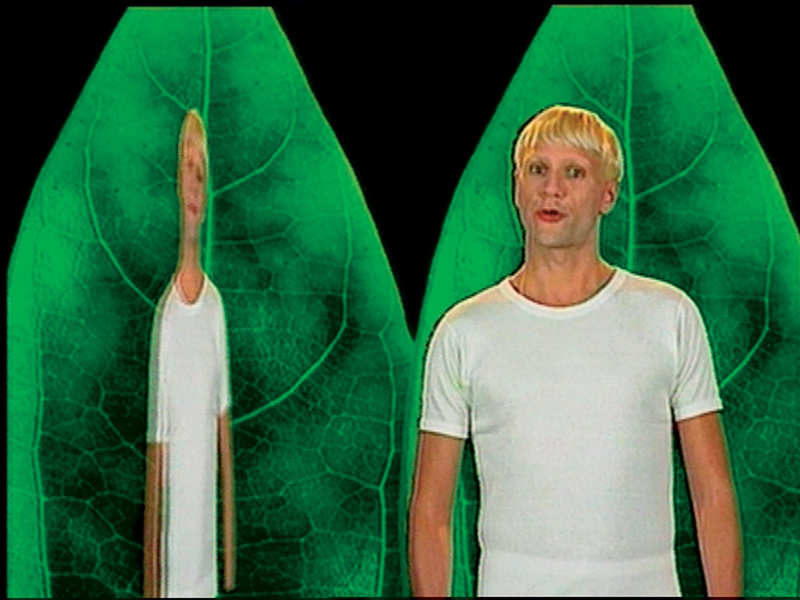 The video begins with a singular artificial and androgynous character presented in front of leaf, an iconic symbol for biological and/or Green technology. 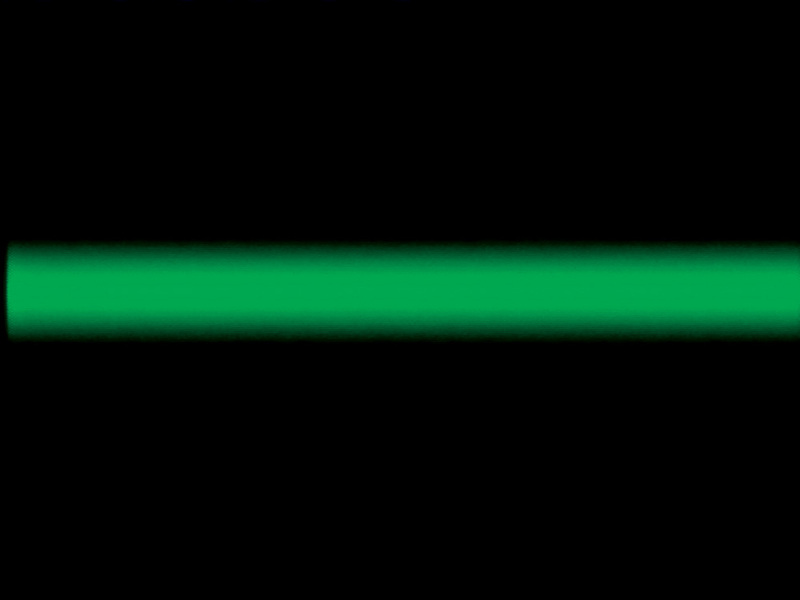 This character, enchanted by its own reflection, begins to copy itself through a process of technology resembling science fiction. 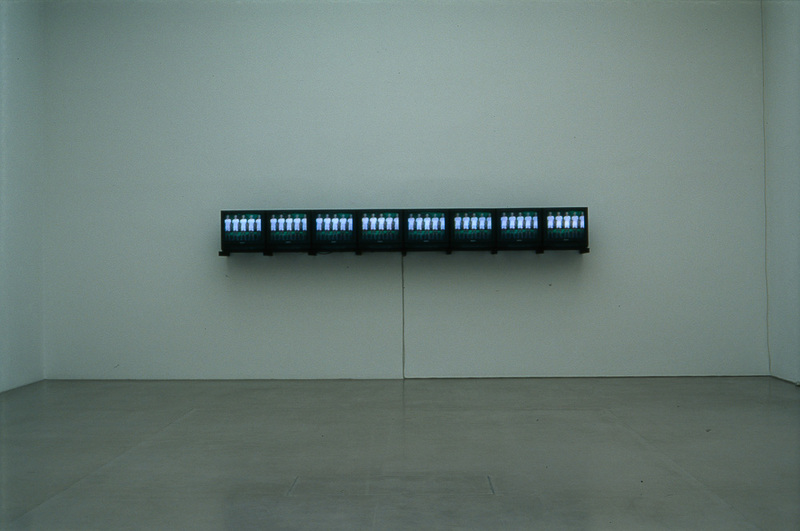 Consisting of eight television monitors installed in line on the wall, the sequences depicted in the video become multiplied eight times, reinforcing the theme of replication and biological/technological ethics. 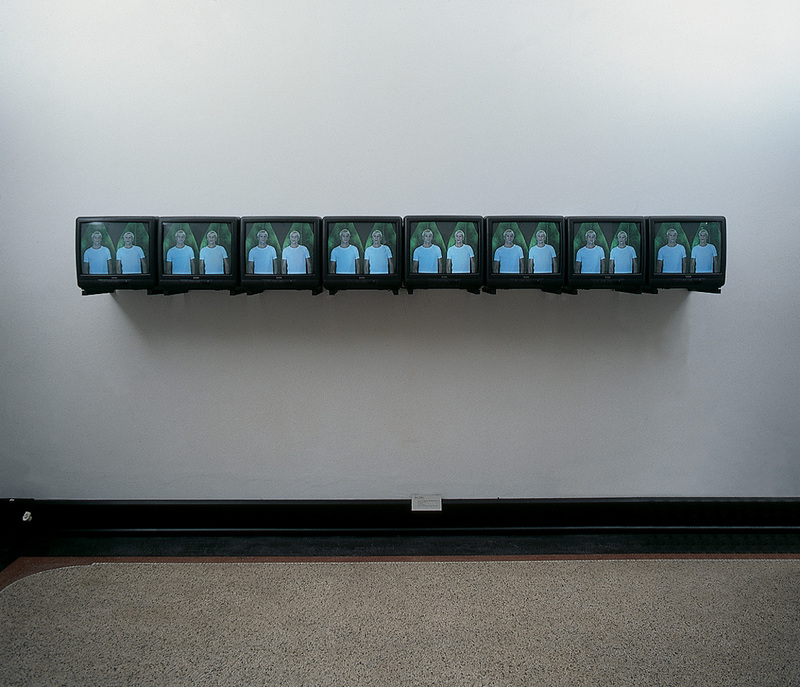 Through the replication of the initial singular character into a seemingly endless multiplicity, Melhus questions the seduction of the self and the power of the ego in relationship to the expanding field of genetic science and self optimisation.